The Youth Culture has spread from the Haight-Eastside axis into the most remote towns of the United States, areas that no radical movement in the past could have hoped to colonize, disrupting all the time-honored ties, institutions, and values of these communities. Owing to its increasing influence on working class youth, the culture has now begun to rework the labor reserves of bourgeois society itself—the reservoirs from which it recruits its industrial proletariat and soldiers—until recently, perhaps the most intractable element to radical ideas and values. 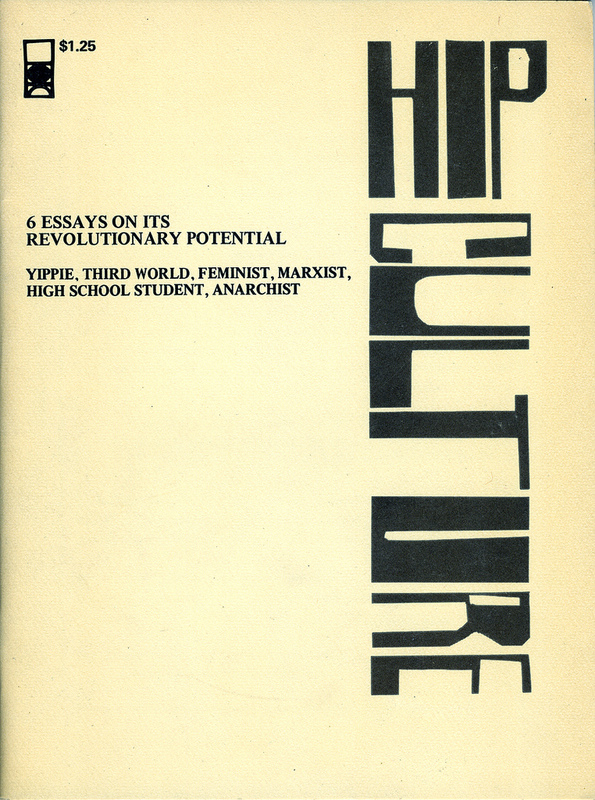 Murray Bookchin, “The Youth Culture: An Anarcho-Communist View,” in Hip Culture: 6 Essays on Its Revolutionary Potential; Yippie, Third World, Feminist, Marxist, High School Student, Anarchist (New York: Times Change Press, 1970), 54, 55, 58–59, 60. RADICAL ARCHIVES NOTE: Bookchin became quite well-known late in life for his scathing attacks on a bogeyman he called “lifestylism”—a ridiculous strawman composed of wildly disparate parts of the early 1990s anarchist milieu, united mostly by the fact that he didn’t like them. But Bookchin’s early, favorable view of the 1960s counterculture made a coherent argument in favor of its potential, and, if it had a failure, it was that it was too uncritical in its assessment.